My dog and me, each of us happy and healthy. Far be it from me to pretend that I’m an expert in animal health. However, the following remedies have done wonders for my dogs as well as my mom’s cats! My sweet dogs are thirteen and a half. The day they don’t want to chase balls, go for walks, and bark at the postal carrier, I’ll be worried. Every day, they teach me more about how to grow older with grace. Every day, I do my best to make aging easier on them. While I know dogs and cats aren’t physiologically exactly like humans, for an extra safety precaution, I often try remedies on myself before enlisting them. In addition, I start off slowly and keep a close watch for possible overdosing and any bad reactions. This wonderful golden root, touted to aid just about everything, has helped heal my broken knee. Unexpectedly, turmeric also helps me sleep better. For the past few months, I’ve been splitting an extra high potency turmeric capsule among my pets, sprinkling the contents over their meals. Within two days, they were greeting the day with renewed spryness! About the same time, I found I was constantly wiping gooey/crusty schmutz from the corners of their eyes. Muck in my sweetie’s eyes. The placement of their eyes depends on the shapes of their faces and noses. Their rods-to-cones ratio differ from ours. We see color and close-up better. They see movement better. Ultra fine grade cod liver oil squeezed into canine eyes, I read somewhere, could refresh their eyes and possibly slow cataract formation. Hmmm …oil in the eyes?! The idea took time to warm up to. With great trepidation (and secrecy from dear ones who would surely have been horrified) I squeezed some into my own eyes. Always use great care with your pets. Lo and behold, down to the fishy smell, it was no big deal. The wee bit of blurry vision righted within minutes, and there was no sting. Whew! Moving onto my furry beloveds, to my supreme delight, within two days, their eyes were clear — plus!! — they could see better! As a result, they’re more responsive and obviously happier! The wonderfulness of this makes tears spring to my own eyes! Mondays have become ‘oil days.’ They’re never thrilled by the application, but any dog with Labradors in it aims to please. All the more so as they age. More about what I do for my dear furry ones. More on turmeric for dogs here. More on canine eyes here and their eyelids here. Interesting! I think I’m gonna try it on our Lab. Thanks for sharing! Beautiful photo of you and your dog! I will definitely try the fish oil on myself and my doggie! Who knew 🙂 So, so glad you shared this. Interesting ideas here. I wouldn’t put anything in my eyes without consulting first with my optometrist but I take a zeaxanthin and lutein vitamins every day. Yes, according to my optometrist. He tests my eyes every year. They protect your eyes against ultraviolet rays and are thought to be most efficient with doses of vitamins C and E, which I also take. Dark green veggies, especially kale and spinach, help and oddly so do orange peppers – better than other colors, for some reason. Also acai berries. I’m cautious about what I eat but these are natural foods. The supplement has been researched pretty well. They may delay onset of cataracts among other things and maintain better vision overall. The only thing I put in my eyes is one contact (left eye) and saline without preservative, on occasion when allergies are acting up. Tumeric of course has long been known to have health benefits. Good article, especially the warning to be careful. Regular medication, like for instance acetaminophen/paracetamol, for human purposes are dangerous for our dogs and cats. However, natural cures can be very helpful indeed. For dogs the size like yours, you can use the amount prescribed for children. I’ve heard of the benefits of turmeric, but didn’t know about the cod liver oil for eyes. It’s good to know. You are clearly doing something right, as your dogs are so well at 13 1/2. My own Little Monkey is only 12. I’ve heard wonderful things about turmeric. Cod Liver Oil as a human supplement appears to work as well. Some interesting articles on the Web, it was regularly given to young Brits a few years after WWII, presumably to help whilst food rationing existed. As you know [actually you may have forgotten! :)], I’m not really a doggy kind of person, but your obvious love for your dogs really moves me. That you experiment on yourself first before administering to them is wonderful – what an amazing expression of love! 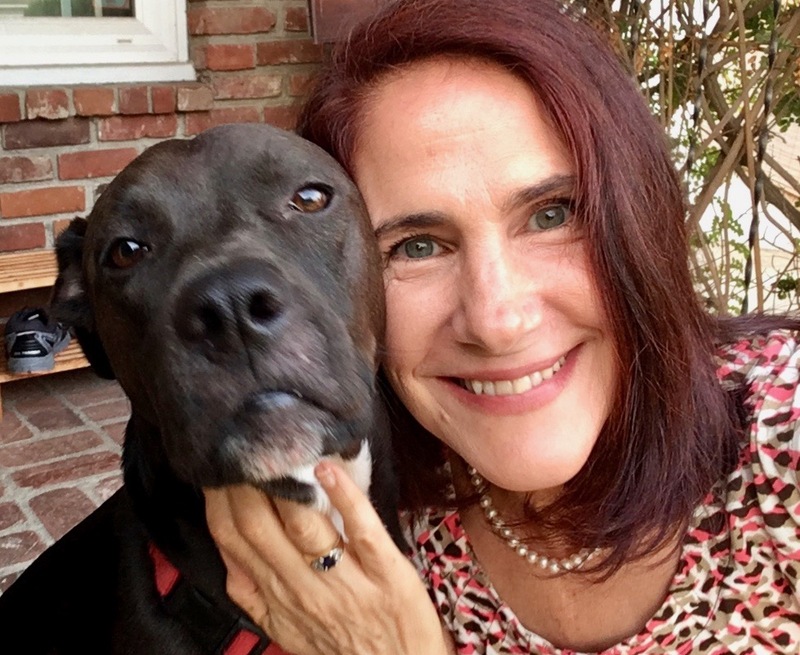 Wonderful article and I love the picture of you and your dog! Priceless! Fascinating article. I eat Tumeric in my food all the time. Never thought about sharing it with my pets. and side note – in 2008 I started taking cod liver oil daily and in a few months I stopped buying moisturizer – woo hoo – we moisturize from the inside out and it is a top product for me. yes – and the brain I took was Sonne’s – which I think is a top brand – I have heard that capsules are NOT the way to go with the cod liver oil.